Posted on October 19, 2016 by inchan	in Blog Translation, Ikuta Erika, Translation and tagged Hoshino Minami, Nogizaka46. Posted on June 3, 2016 by inchan	in Subtitles, Translation and tagged Chiyuu, Kasai Tomomi, Kashiwagi Yuki, Kitahara Rie, Kitarie, Kojiharu, Kojima Haruna, Miichan, no3b, Nyan-nyan, Yukirin. Kojiharu, Kitarie, Tomo~mi and Yukirin are the commentators in this video. It’s more fun to watch RH using commentary tracks. I’ll sub more so wait for it! Enjoy the video. Posted on January 18, 2016 by inchan	in Subtitles, Translation. I did this sub yesterday all night long. It made me forget about my Contest of Champion’s event orz. I couldn’t get my Galactic Spidey ; _ ; Put that aside. This time I subbed Acchan’s Another Sky. This episode is very interesting. 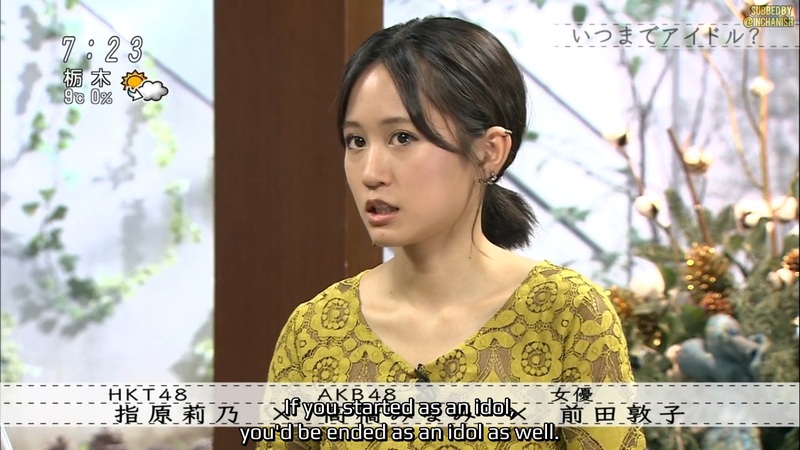 Acchan showed her real self when she was in New York. And I found it adorkable. And as per usual, I’m sorry that I couldn’t upload HQ version to dailymotion. My connection is a real crappy. Posted on January 16, 2016 by inchan	in Subtitles, Translation and tagged Domoto Koichi, Domoto Tsuyoshi, kinki kids, Makihara Noriyuki, Nishikawa Takanori, shin domoto kyoudai, T.M Revolution, Takamizawa Toshihiko, Takeda Shinji, Tokunaga Hideyuki. Posted on December 21, 2015 by inchan	in Available Download Link, Subtitles, Translation and tagged HKT48, Sashihara Rino, Sasshi, Subtitles. Guess I’ll be forever making you wait. But please accept this one as an apology for making you guys wait. You can download the video from hello online. I’m currently rendering the video for the hardsub. But it might take ages to upload so…here I give you sub only. Looks like the fonts I used for this sub didn’t appear in your media player so I really should upload the hardsub. And today I finally finished uploading the video. I couldn’t post the HQ one because my connection is a pain in the arse.